Toddlers have few associations with race and diversity. These associations come later. This makes toddlerhood a great time to start talking about race. 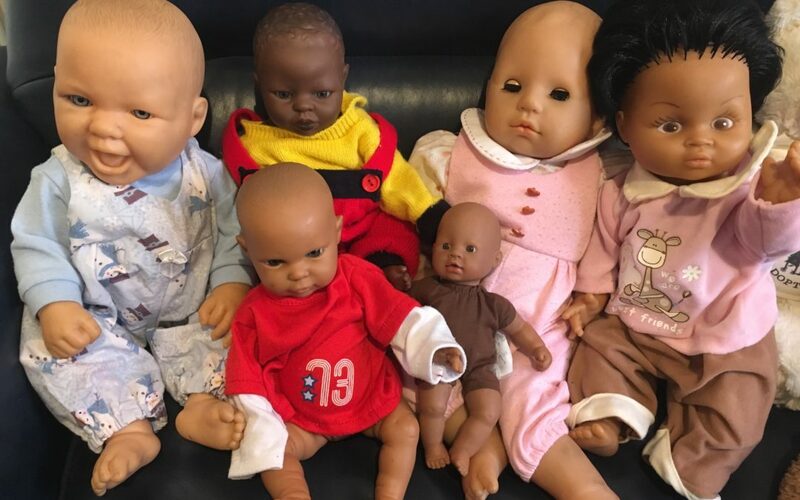 Research suggests that by the time kids go to kindergarten (and sometimes even preschool), children already prefer to play with kids or dolls who look similar to them. 1. Toddlers are not color blind. They are keenly aware of different shades of skin colors. They are learning about color, so why not help them name skin color. Of course there is more to people than just the color of their skin, but to deny skin color is to ignore part of who they are. 2. Toddlers are learning to categorize and organize their world. They use their own skin color as a base and notice who is similar and different. 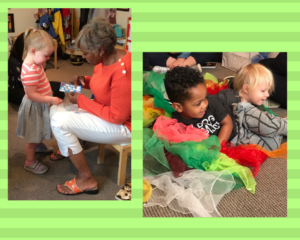 They get their first cues about how to organize and categorize their world from us, their parents, grandparents, and caregivers. Providing your toddler with books and toys that show people who look like her and people who look different is a start. Global babies is a much-loved board book for babies and toddlers. However, the people in your life are more important than books. Ask yourself, “Do I have friends who I regularly see who look different from me?” Studies show that kids and adults who have meaningful relationships with people from different ethnic or cultural backgrounds feel more comfortable around new people of different races. 3. Toddlers pick up on cultural stereotypes and subtle emotional cues. How we talk about something is just as important as what we say. Pay attention to cultural stories, fairy tales, songs, movies, and books. Are there non-white people in the media you’re consuming? If so, what direct roles did they play? Even if it’s not direct, kids start to recognize patterns and notice who gets a part and who gets left out. 5. Toddlers will grow up to be the next generation of leaders. We want the next generation to know how to talk about diversity and to see the beauty in people’s differences and similarities. This takes teaching and modeling; it does not happen naturally. One of the best ways to fight racism is by simply acknowledging it. From there we start early by talking about it with our toddlers. Make room for their questions and all of the colors they notice. This article is a summary of a wonderful essay in the Washington Post by Michelle Acker Perez.